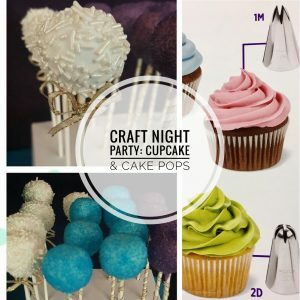 Our first “Pinterest Party” was a Craft Party teaching ladies basic cupcake decorations with the large Wilton tips and teaching ladies how to make simple cake pops. I lead the cupcake decor part and an amazing lady, Shawna Reyes of Shawna’s Cupcakes & More, lead the cake pop portion. 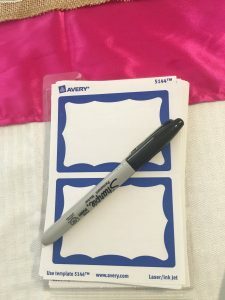 The event was for 16 ladies, we ate, drank, and decorated the night away. Most of the ladies there were Mom’s from an amazing Facebook group called East Bay Mom’s Club located in the California Bay area. I made chicken enchiladas and had chips, salsa, and guacamole. Chicken Enchiladas are a very easy and inexpensive dish to make for a large group of people. Ladies brought their own wine and I served a signature drink. I made an alcoholic and non-alcoholic version of the drink. The Champagne Fruity Cocktail and Ginger Ale Fruity “Cocktail” are just three ingredients plus berries of your choice. I setup 2 tables to sit 16 people. The tables were covered with white tablecloths and two runners. 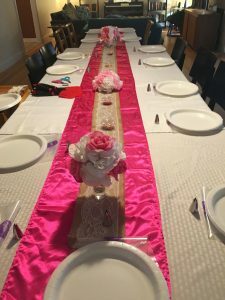 I had a hot pink runner with a smaller lacy burlap runner on top of it. The pink runner was bought on Amazon and the burlap runner from Wal-Mart. 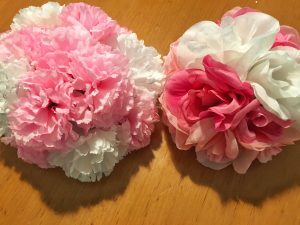 I made 4 centerpieces of artificial flowers. For the colors, I used white and pink flowers that I picked up from the Dollar Tree. There was a paper plate for the ladies to use the decorate and under the plate was a plastic Wilton piping bag and in front of the plate was a Wilton 1M tip. Every lady was able to take home a 1M tip. 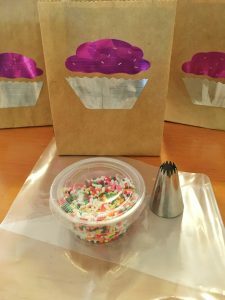 In between the centerpieces on the table were containers of sprinkles to be used on the cupcakes and cake pops. 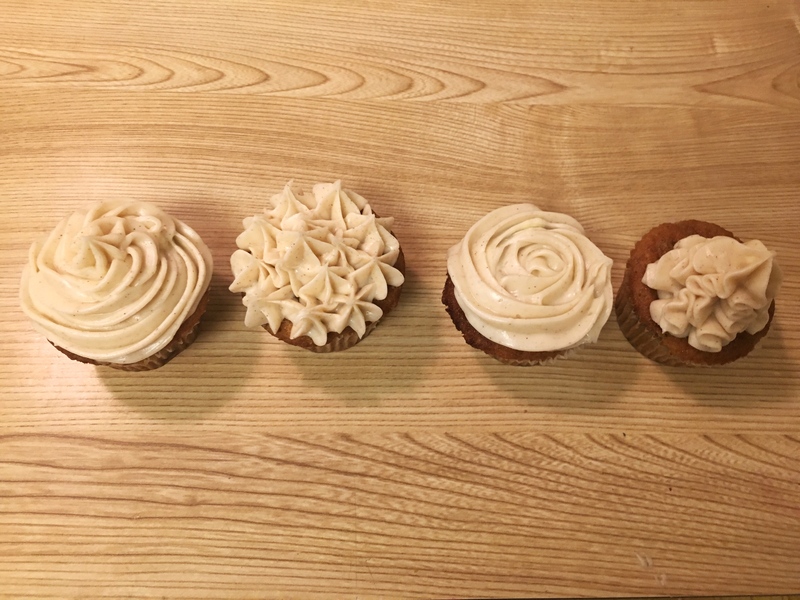 The day before the event, I baked 3 batches of cupcakes. I went with red velvet, banana cinnamon, and funfetti. 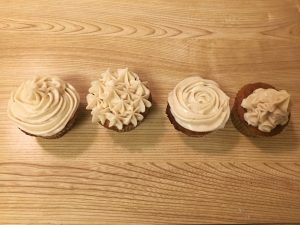 6 batches of cream cheese icing were made two hour before the event and put it in the fridge. 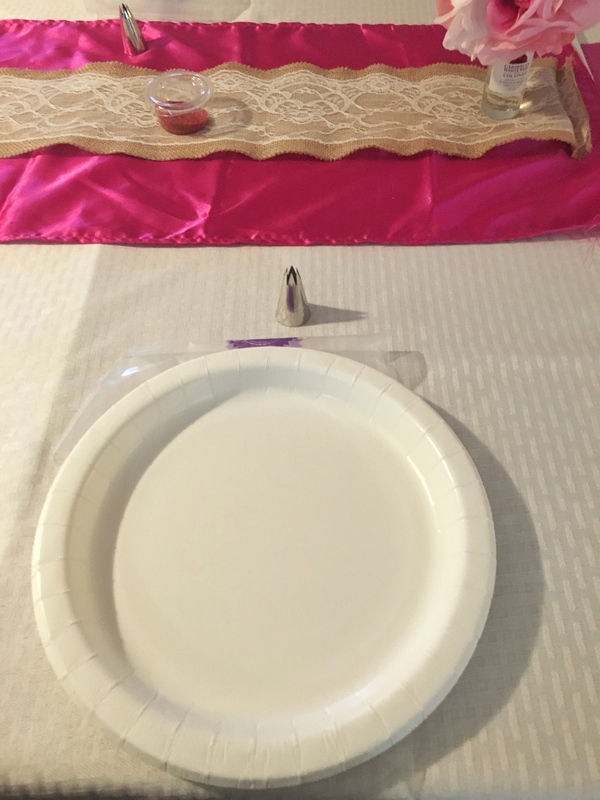 I purchased disposable piping bags and Wilton 1M tips for all guests. 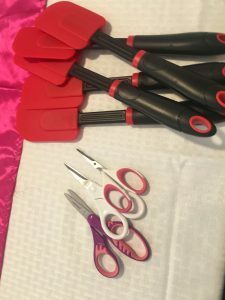 I also had other Wilton large tips on hand, the the ladies to practice with. Vegetable oil for melting candy melts. This is needed to get the right consistency. Cookie Sheet lined with Wax paper. Since not all the ladies knew each other, I ordered name tags from Amazon and asked everywhere to where one. That way no one forgot anyone’s name. 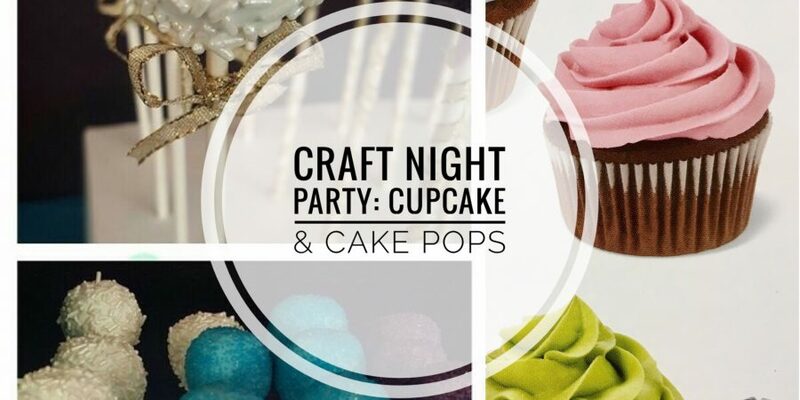 The 1st part of the Craft Night was spent decorating cupcakes. I showed the ladies how to stir the icing, insert a tip, and put icing into a piping bag. There were spatulas and scissors on hand for setting up the icing. 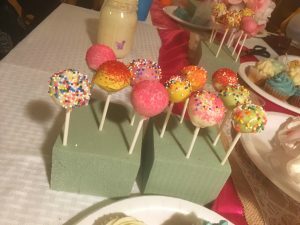 The 2nd part, Shawna showed the ladies how to make a simple cake pop. In a standing mixer, break already baked and cooled sheet cake into pieces and add half a can of condensed milk. Once its all mixed, make golf sized balls out of cake. Microwave candy melts. Add vegetable oil to thin out mixture as needed. Dip sticks into melted candy. Insert sticks into cake ball. Let sit in freezer for 15 minutes on cookie sheet. Dip cake pops in jar/bowl of melted candy. 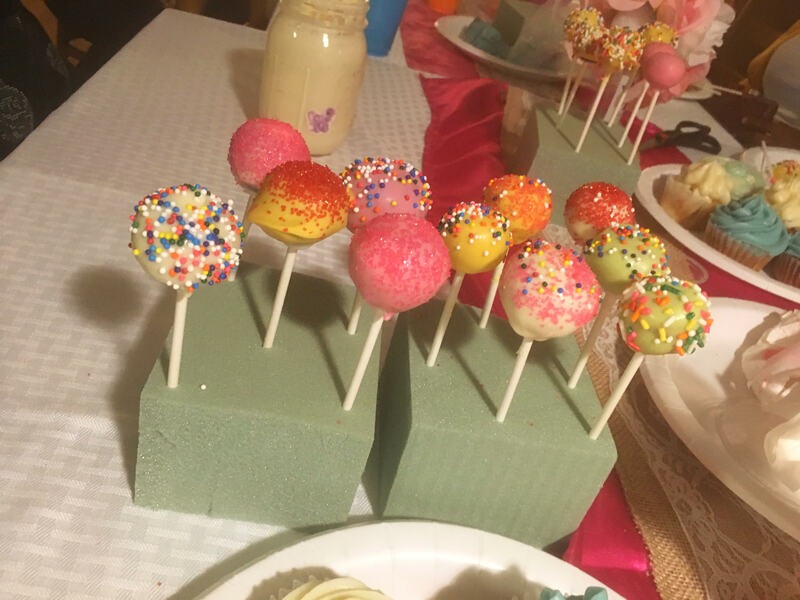 Let cake pop stand in styrofoam for 15 minutes. All the ladies left with a container of sprinkles, a tip, disposable Wilton 12 inch piping bag, their decorated cupcakes, and cake pops. After the party I sent them links to all the recipes from the party.